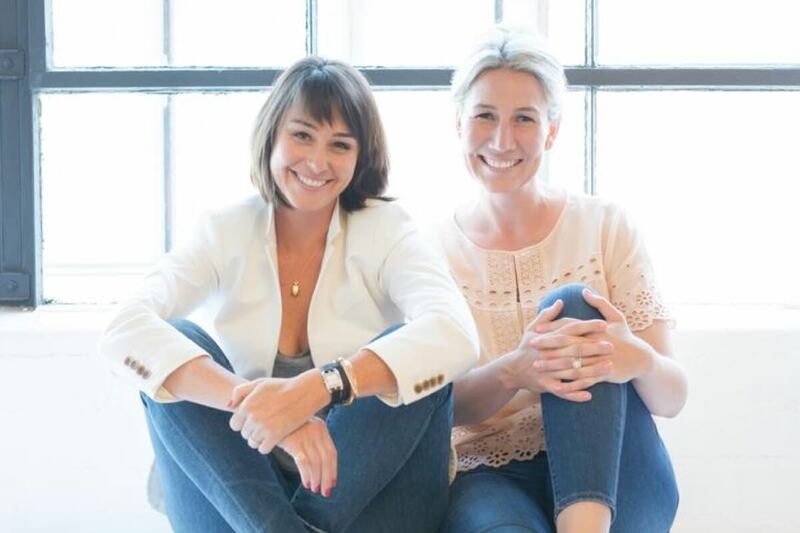 Known for their chic and simple take on parties, Chelsea Shukov and Jamie Grobecker, the founders of Sugar Paper, bring their preppy LA style to everything they do, including holidays. 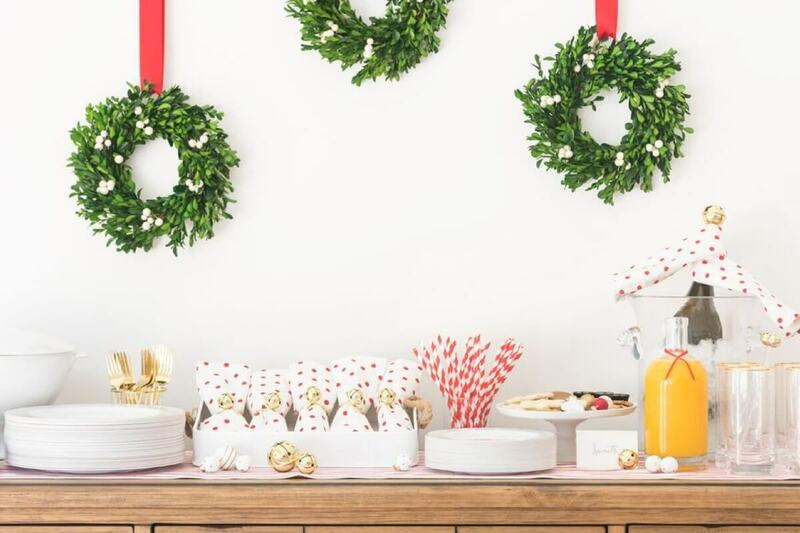 With a thriving business and busy young families, they shared with us how to host a timeless Christmas cocktail party–and why it’s worth making time in your hectic schedule. Shukov says gold is “part of the magic of the season.” Incorporating gilded elements throughout a party can make it feel festive–use gold candlesticks, gold-rimmed glasses, Christmas ornaments, plates, and bells. 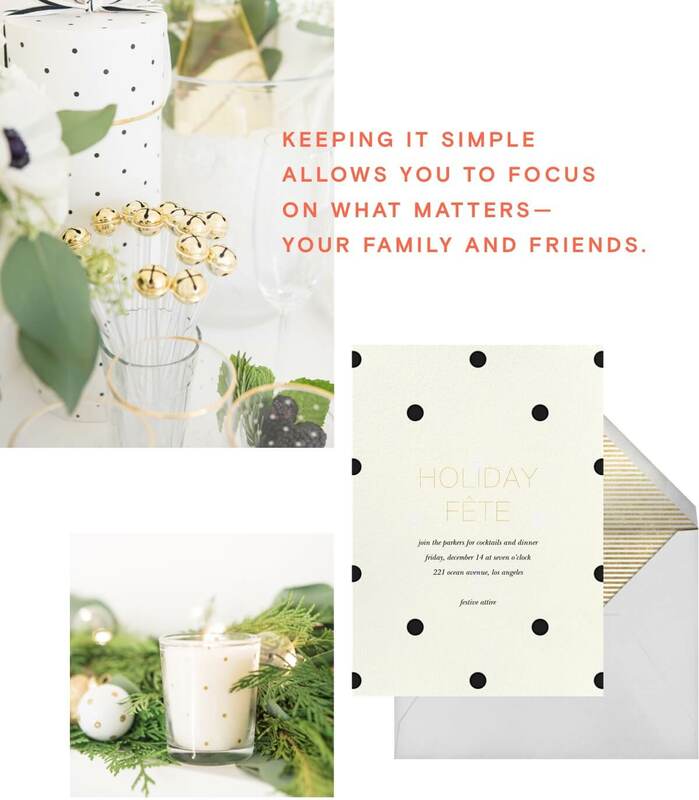 Even if they usually stick with softer shades of blue and pale pink for the holidays, they “embrace Santa’s personal style and lean in.” Their holiday décor items are full of festive details like bright red polka dots and gold jingle bells. 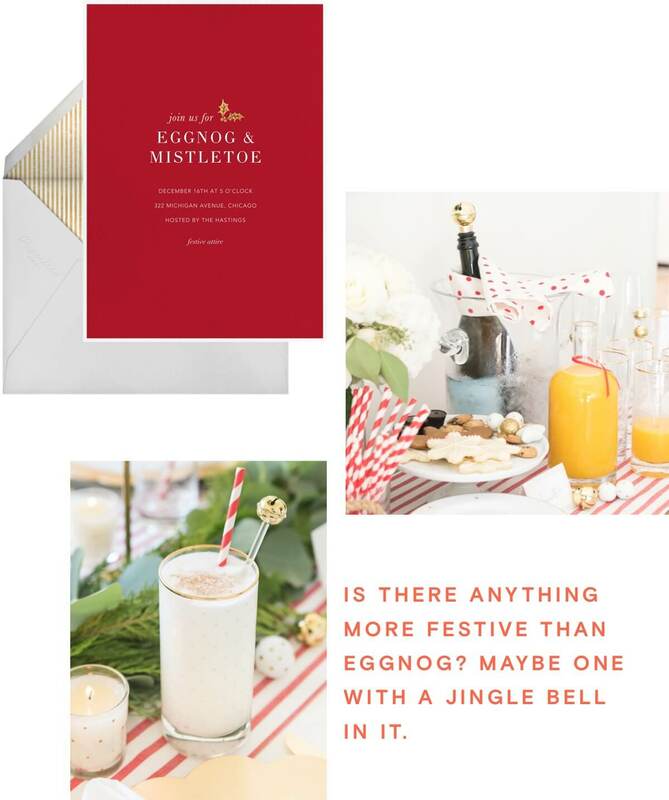 Sugar Paper’s holiday invitations coordinate with their décor collection and set a stylish tone for a timeless cocktail party. Set up a station so guests can pour themselves a drink as soon as they walk in. 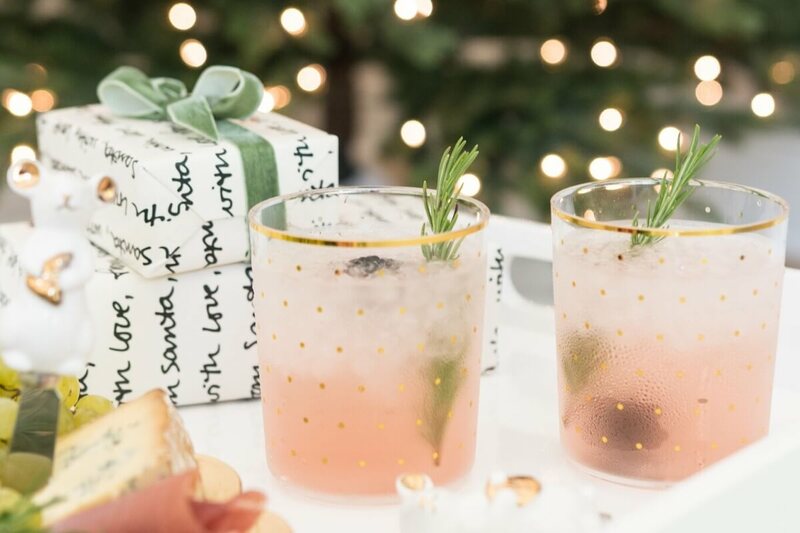 Shokov suggests setting up your bar by going “into it as if you’re making yourself a cocktail, that way you won’t miss anything.” Spiked eggnog or a cranberry cocktail with sprigs of rosemary or twists of citrus are two crowd-pleasers that can be made in batches ahead of time. Tricks of the trade: use a name or gift tag to label each bottle and tie a pretty cloth napkin around the neck of your bubbly to prevent icy drips. Party soundtrack: Bing Crosby. We love the classics. 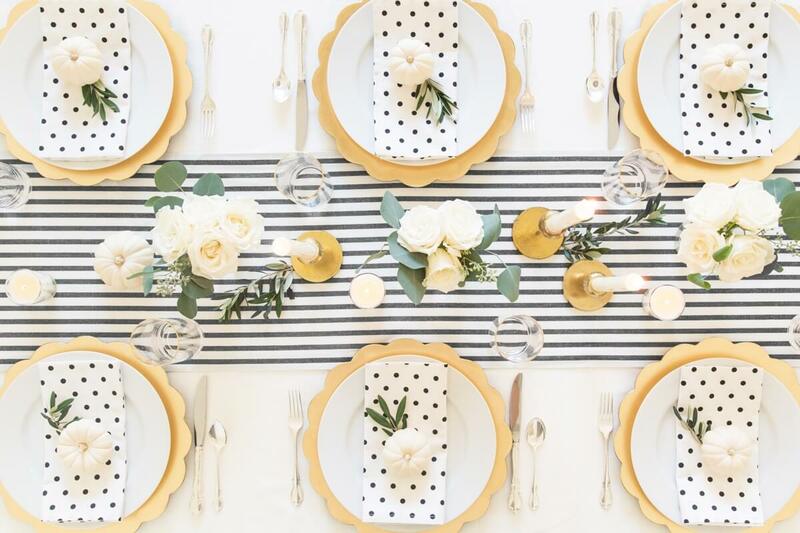 Keep your party simple by: Using disposable plates! Go extravagant with it: The details. Make your guests feel loved. Most thoughtful hostess gift: Personalized…anything. It shows that you thought of it in advance. What we want to wear to holiday parties this season: Tartan plaid pants, leopard flats, and some sparkles. Take a night off from holiday shopping, parenting, and work to spend time with your crew. You’ve earned a night of adulting. 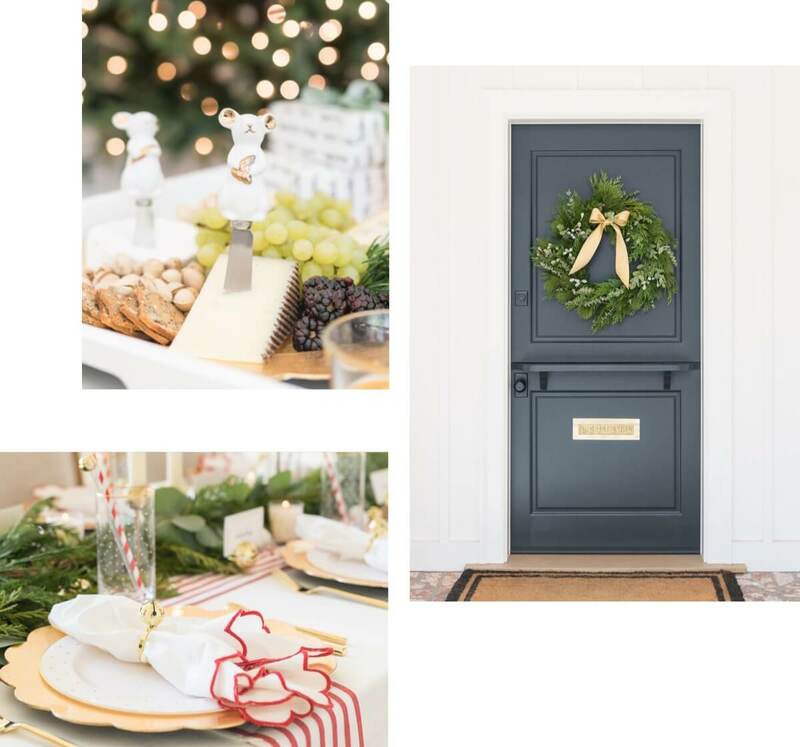 Be the host with the most with our classic holiday invitations. All images courtesy of Sugar Paper.